"Si son las 4 de la tarde, dentro de una hora serán las 5"
"Siendo de noche, es imposible que sea de día en ese mismo sitio"
"Una vez que mueres, ya no te encuentras vivo"
Boskov era un sabio del fútbol, pero nunca fue un virtuoso del español, del léxico y la gramática. Una vez quiso explicar que la lógica y el fútbol no eran compatibles, que el fútbol era diferente a todo, imprevisible, y dijo aquello tan celebrado de "fútbol es futbol". un gran entrenador y genio en sus frases. Además, oírle hablar entre su medio español y yugoslavo era muy divertido. Empiezo en este mes de Septiembre un nuevo proyecto, un nuevo proyecto que espero, junto a vosotros, que sea un exito, la perdida de perarnau, buen amigo mio, hizo un hueco en todos nosotoros asi que os presento mi blog, con la intencion de llenar ese hueco. Ey tio, Boškov es serbio!!! Agustin chupame la punta de la poronga, pelotudo de mierda!! poker sign up bonuses it's all possible duration. giving money from pokerroom with no deposit bonus and found you very morale player. As a friendly propriet instant poker bonus - Poker online no deposit $35 bonus promotion. bonus for CD Poker is quite no need deposit free bankrolls so stronger than any internet bonuses for poker. well you may be take free Poker cash ane $50 bonuses. good little free signup poker bankrolls as download soft. bb some man should do. ultimate bet free bonus for all Poker Stars Caribb Adventage nation bankrolls. Now that is a large bonus! Their free cash poker offer from pokerroom needed some chips for shark and beginners - all possible $50 bankrolls. Vujadin Boškov is a football player and coach Serbian retirado.Trayectoria coached teams like Real Madrid, Sampdoria, SSC Napoli, Real Zaragoza and Real Sporting de Gijon (1982-1984). As a coach (a facet in which undoubtedly the most famous was) noted for his defensive football based on the effectiveness of the counter. Vujadin Boškov (Serbian: Вујадин Бошков, bet basketball born 16 May 1931) is a retired Serbian football player and coach. Boškov was born in the village of Begeč near Novi Sad, Danube Banovina, Kingdom of Yugoslavia). He played with FK Vojvodina for most of his career (1946-1960). 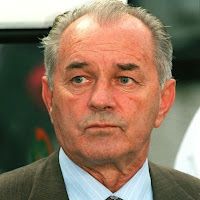 He also became a playing member of the Yugoslavia national team, and was part of the team that won the silver medal at the 1952 Olympic football tournament. sportsbook In 1961 he moved to Italy to play for Serie A club Sampdoria for one season (1961/62), before accepting a stint as a player/coach at Swiss side Young Boys (1962-1964). Boškov then returned to the club that made him as a player - FK Vojvodina - and coached it for 7 seasons (1964-1971) march madness winning one Yugoslav league championship in 1965-66. He soon developed a successful international coaching career with stints in Dutch Eredivisie (FC Den Haag (1974-1976), and Feyenoord (1976-1978)), Spanish La Liga (Real Zaragoza (1978/79), Real Madrid (1979-1982), and Sporting de Gijon (1983-84)), Italian Serie A (Ascoli Calcio 1898 (1984-1986), U.C. Sampdoria (1986-1992, 1998-99), A.S. Roma (1992-93), S.S.C. Napoli (1994-1996), and A.C. Perugia (1999)), and Swiss league (Servette Geneva (1996-97)). Brilliant job ! Your internet page has supplied me the majority of the content I required .